And even if you wouldn't call yourself an expert, feel free to chime in! I have had a long love affair with long-wearing mascara. I am a sucker for the words "16 hour" and "no smudge" on the packaging - no matter the brand. 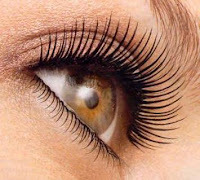 I have been loyal over the years to various mascaras of this type. First it was the L'Oreal Color Endure line. They still make the eyeshadows, lip stuff, etc but for some reason they discontinued the mascara. (Don't they get it that loyal fans like me would have protested if given the chance??) Anyways, then I found Maybelline Unstoppable. Also a great find...no smudges and still visible before bed. Guess what? It got discontinued too. Recently I tried Featherlash by L'Oreal. The ULTA salesgirl assured me it was long-wearing. I'll admit that it is fairly good. BUT (are you picking up on my ultra-pickiness when it comes to cosmetics?) it is water resistant. This isn't ideal because it makes it difficult to clean off at night. Oh sure, you can use soap and water, but I can never master this without stinging my eyes out. So now I'm on the hunt for a new mascara. I thought I'd open up the discussion to all you gals who read to see if you have any suggestions. Expensive or cheap, bring on the mascara ideas. After all, I'm just like you. In times like these, I'd rather not pay money for cosmetics that I'll have to throw in the trash later in the week. I am a BIG fan of "Colossal" - yellow tube with purple font. Forget who makes it and too lazy to get up and find it. Long lasting and no smudges and very easy to remove at night....Highly recommend it! I'm far from a makeup expert. A girl in college taught me how to wear eye liner. I'm still mastering the technique. I love Cover Girl "All-in-One" Professional. It's in a blue tube. It never smudges & lasts all day. Plus, you don't have to do a million coats to make it look like you have something on your lashes. It is also really easy to wash off w/ makeup @ night. AND - it's cheap! Wow, I'm going to have to try some of these out too! I love my mascara - but who knows what I may be missing. I use Volumunous (sp?). I like the curved brush instead of the straight brush! BTW...did you do the Dam to Dam? OK... May I suggest a new Chanel mascara I read about in a magazine and then bought?? I can't remember what they call it but it has a wand that is part comb/part brush so it goes on smoothly, and makes the lashes look fuller/longer. I don't know that they call it water resistant but it is pretty long-wearing but easy to remove when I wash my face (compared to the waterproof Chanel mascara which requires a jack hammer in addition to eye-makeup remover). Prior to finding this mascara, I was using Benefit's BadGal which I really liked until I tried the new Chanel. Good luck! I LOVE me some make-up.